Prozak’s “Million Miles Away” music video for his upcoming album Paranormal touches on many issues that run through the fabric of our society. When asked “If you could change one thing in the world, what would it be?” the answers ranged from innocent (bedtimes) to very serious (child abuse, bullying, poverty). Today we examine bullying: how it’s taken a toll on us and what we can do about it. “We don’t have laws in place, we don’t have the change we need,” says Kirk Smalley in an interview with CNN. 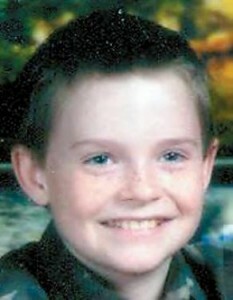 Kirk is the father of Ty Smalley who, at the tender age of 11, took his own life due to the bullying he experienced at school. Since then his father has started Stand For The Silent, a campaign to make bullying a thing of the past. We reached out to Kirk to get his thoughts on bullying and what can be done about it. The tireless father was gracious enough to take the time out of his incessantly busy campaign to honor the memory of his son by putting a stop to the bullying that drove Ty to take his own life. Since you’ve started this movement, how much has it spread? Has it taken on a life of its own? It really has. Mainly it’s a grassroots movement. We started presentations at schools around the Oklahoma area and the kids themselves have spread it to other states and other countries. It’s gone national as well as worldwide now. We’ve done presentations via the internet for India, we’re going over to Australia to get it started this summer, we’ve got a family over there that wants to do what we do. We’ve been to over 420 schools now and have talked to over 58o,ooo kids in the last 19 or 20 months. It’s really grown. The kids themselves spread it and take it home to their parents and their families. They spread it over the internet. Out of all those schools, we’ve never asked to go to a single one. They contact us and ask us to come. Upon doing this have you found that this issue resonates even further than you expected? It does. Laura and I have learned an awful lot these past few months. We never knew how bad this was in society and now the world. The statistics in America are staggering. One out of four kids will actually have a plan before they graduate high school on how they’re going to take their own life – 25 percent of the kids in our country would have a plan. 13 million kids a year are being bullied. There’s various reasons I believe. A lot of it is that some kids are insecure, you know? They’re being bullied either at home by their parents or by an older sibling, they’re being bullied at school so they basically pass that pain on. A lot of them are just misguided. They think that bullying is going to make them look bigger and better and stronger to their friends and their groups – picking on somebody weaker. We as adults have a big capacity to do that as well. Kids see that and emulate that in their own behavior. Do you think one of the things that we can do is to check ourselves and how we treat other people? Oh very much so. Bullying is a learned behavior. Kids learn it from watching adults. There’s no doubt in my mind about that. Being a learned behavior it can be unlearned. We have to un-teach it. This is all our fault. Society has caused this. It’s the adults’ faults. We’ve allowed kids to play video games where they get points for killing people – like that’s a good thing? We’ve allowed them to watch cartoons – there’s one out there that’s very popular where a little boy dies but he’s back tomorrow. What’s that teaching our kids? That life is cheap? That death isn’t real? We let them watch movies and the media. When I was kid the worst movie I saw was Jaws. It was scary but nowadays you can turn on a regular television channel without it even being cable and watch someone get an arm or a leg ripped off. We’ve allowed that. Believe it or not, these kids learn everything they learn from watching us and how we treat each other. Adults have caused this and it’s time to change our behavior and realize that these babies are watching every move we make. What do parents need to do to make sure their kids aren’t the ones bullying other people? We have to promote love, respect and kindness for everybody. We all have a right to be here and we all have a right to be who we are. I’ve seen cases and instances where handicapped children are bullied just relentlessly at school. A little boy with a messed up arm, born that way, and somebody would call him a name as he walks by and all the kids laugh because all their friends are laughing. Parents are just as bad about that. They make rude comments about people in public and things like that. That little boy didn’t ask to be born that way. Life’s tough enough on him, why do we have to treat him like that? It’s time we start standing up against it and standing up for the victims of it. There’s a lot of bullying that goes on with adults, just in the workplace and in normal, everyday life and it’s time we put a stop to that. Is Ty still on the forefront of your thoughts when you wake up everyday? Has his passing gotten any easier since it happened? Our boy is on our mind every second of every day and most every second of every night. We don’t sleep a whole lot. This has been a nightmare, you know? It truly has. Every day is a nightmare. As far as “has it gotten any easier?” It really truly hasn’t. We go to three, four, five schools a day, every single day, and I tell Ty’s story at every school and I relive that day every single day three and four and five times. It doesn’t get any easier because it just keeps peeling that scab off of that wound and I don’t know that it ever will. When it comes to bullying and what we’re doing about it as a society, what do you think is the biggest block between where we are and where we need to be? I think that part of the problem Lauren and I have found is that it’s hard to get adults to take this seriously, how bad it has really gotten in these schools and we need to listen to these kids. Communicate with them. Back when I was Ty’s age, you could be bullied at school and then you’d go home and you were safe. Nowadays you’re not safe anywhere. They can get you 24/7 on the internet, text message, Facebook, all of that. There’s no safety. The problem with that is that in just 2o, 3o years we’ve come that far: you can bully somebody without standing there and having to face any consequences. You don’t have to look them in the eye and call them a name or do something. You can go online, almost anonymously, and how much worse is that going to get in 2o or 30 more years with the advances in technology? How much easier is it going to be to abuse somebody that way? It’s time to put a stop to it now. We’ve got to start now. To all the kids that are being bullied what do you say to them? Stand up for yourself and stand up for others. One of the things we try to do is we try to empower these kids, the victims, the bullies, all of them. We get messages from all of them. We get them from the victims that say they’re just glad that someone is standing up for them, we get them from the bystanders that say they didn’t realize that by their inaction that something like this could happen, we get them from bullies that say “I never knew that what I was doing could cause this. I’m done. I’m going to quit and I want to help you make it stop.” We just try to empower the kids. The victims of bullying, if they will stand up for another kid that’s being bullied, it empowers them. It shows them that “You know what, I might be the one being picked on, but little Timmy or little Johnny over here, he’s getting it just as bad or worse, and I can be his friend. I can stand up for him and tell them to leave him alone.” Strength comes to that child knowing that he could be somebody else’s hero. What can someone do that wants to help? Lauren and I have been doing this since, Ty’s been gone for 684 days now and we’ve been doing it since about a month after he died. We’ve been doing it out of our own pockets. We’re funded solely off of our own savings account and sometimes schools. We charge nothing to go to a school and talk to the kids. Nothing at all. Some of them will donate to help cover travel and things like that but it’s not required. They can donate to help out. They can join our group on Facebook. They can help spread this message. We’ve got to get this message out to the entire world. This kind of thing has got to stop and it’s got to stop now. We would like to send another thank you to Kirk Smalley for his courage and willingness to take time out of his busy schedule. In loving memory of Ty Smalley and dedicated to the millions of those that suffer due to the hands of bullying. Click here to visit Stand For The Silent. Have you been bullied before? Do you view it as a problem that we need to do something about?